Calamari, Mazzancolle Shrimps and Vegetables "Scartosso"
Fantastic attentive staff, simple food done perfectly, and brilliant views. I booked this through open table 2 months ago for a surprise trip for my boyfriends birthday. I had a confirmation email the day before asking if I could still make it. When I got to the restaurant on his birthday id booked months ago & had a reminder sent to me yesterday.. again didn’t offer to help the situation. I had to say I want to still be sat outside. After all the rudeness and unwillingness to help I decided to only stay for one drink. I would have happily spent money on food & a few cocktails but the service I received was shocking. Beautiful setting, on the Canal Grande! View over the magnificent church and the gondolas. Peaceful, upscale with a surprisingly good risotto. Marvelous customer service level from the waiters. Scenic view and quality wine. Perfect lunch! Wonderful place. Good food. Short Menu. Too high price even considering and balancing quality, food, service, place, etc. The terrace is lovely but food isn’t spectacular at all. I asked the waiter to check with kitchen if mozzarella was pasteurised and he refused telling me to simply remove it from the dish. Quite surprising and disappointing attitude. A bit pricey but excellent service, food and view! I had the Octopus and Lamb chops my wife beef carpachio and clam sphagetti lovely. Special spot on the grand canal best lunch ever. Everything was amazing! The food and views were top! Beautiful place! Very classy! Amazing location! Love it!!! We were out of our comfort zone here. The stunning, picture perfect views may well be worth the cost of the very expensive but not particularly memorable food. All in all, it was a perfectly lovely meal, but the steep cover charge felt excessive, and altered how we felt about our experience. The Gritti Terrace is wonderful. It probably is a little pricey but then on a a sunny day, the ambiance and the service was terrific and the food was lovely. We managed to secure a table for two right at the front of the terrace with the best view. Service was attentive and the food delicious. Overal, We loved the experience and would probably return. 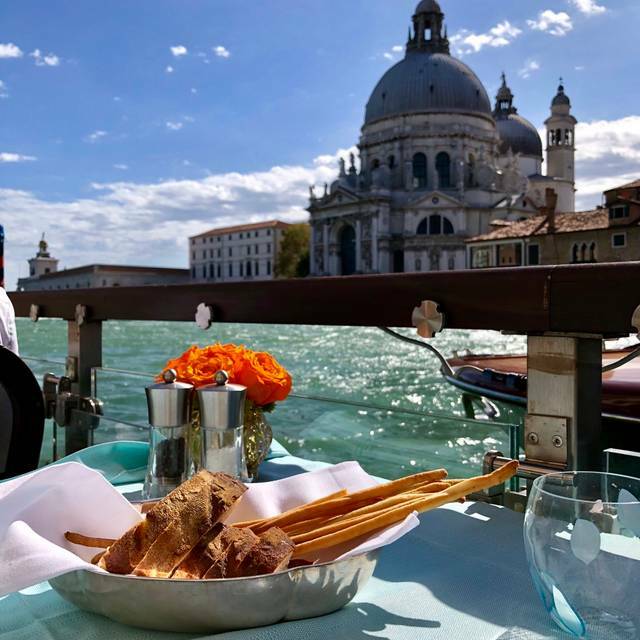 However, one had to be prepated that the terrace sits at one of the busiest corners of the grand canal, and noise from passing boats and gondolas can be intrusive. On the other hand ot os a good spot for people watching. Obviously the restaurant is very expensive; this is to be expected given it is a 5 star hotel in a prime position. I felt the need to deduct a point for a very bitter ( and overpriced) coffee with no petit fours offered. What an amazing dining experience in an iconic location with such professional attentive staff. It was such a memorable afternoon. Thanks to all staff in particular our waiter Gianluca. 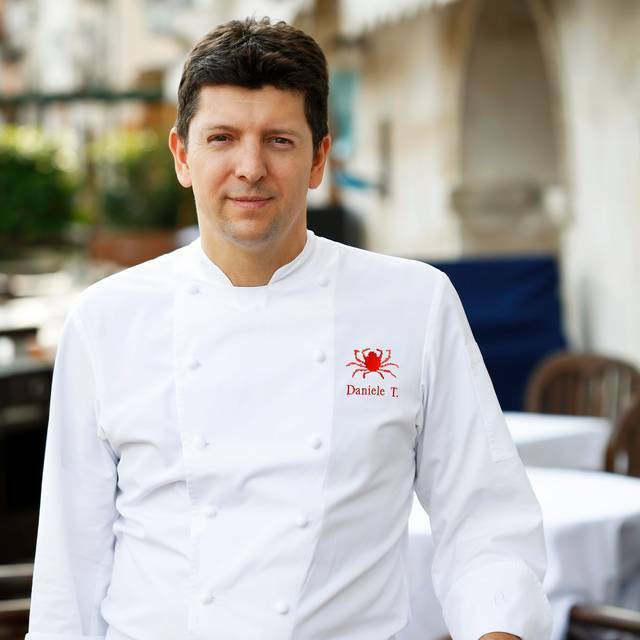 If you are in Venice, Italy visiting Gritti Terrace is a must! Everything about this restaurant - location (sitting on the Grand Canal), food, desserts, wine list, service, and ambiance is beyond wonderful. Highly recommend booking in advance to ensure you do not miss the opportunity to have a dining experience you will never forget. Amazing view at outdoor table! Definitely worth to spend 100 euros for the view! Staffs are very kind and all dishs were just perfect! I had a fish of the day and also pasta. Fish was perfectly grilled! Our luncheon at The Terrace was one of the highlights of our trip. 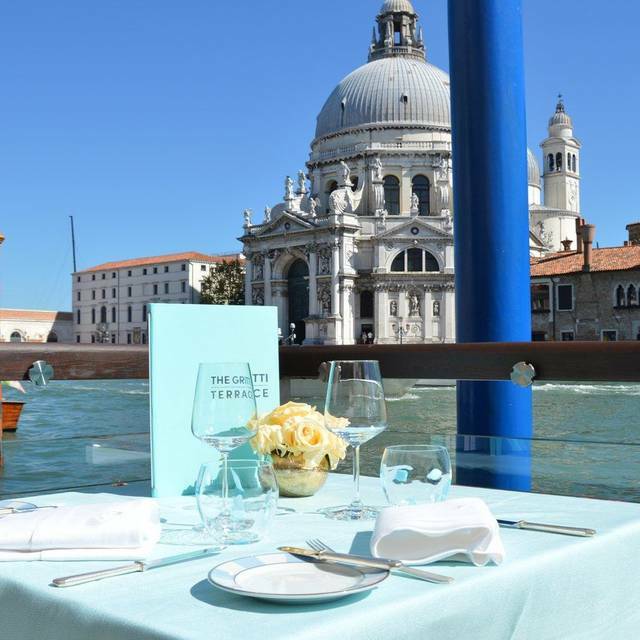 Many trips to Venice, our first to dine at Gritti Terrace. The food was lovely, service very good and the setting beyond spectacular. Afternoon Tea on a subsequent visit, perhaps. Thank you for a stellar experience. It was too much expensive!!! 2 spritz for 42 euros and 18 euros charge for reservation. We have to ask 3 Times for the bill. We will Never go there anymore. 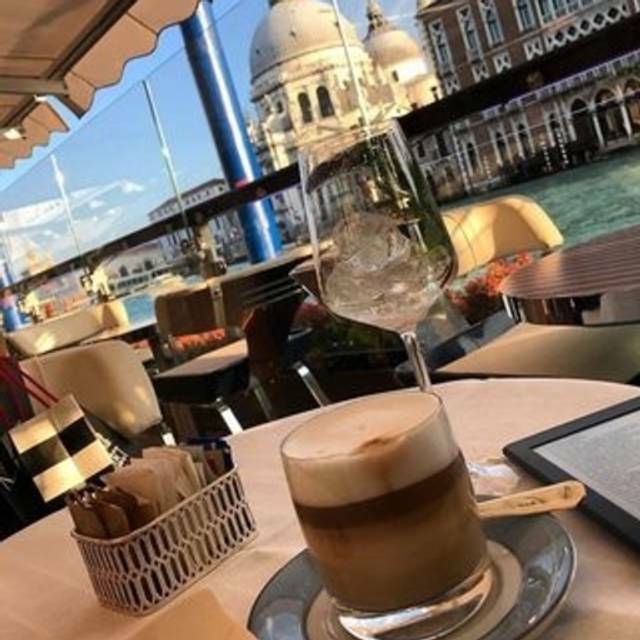 Sitting on the Terrace at the Gritti Palace is a must for a trip to Venice. The food and service are very good but the best thing is watching people glide by on the gondolas as you dine. Food was excellent, service was good. Overall it was a good experience, but nothing to go crazy for. Probably will not go there again. Overall experience was quite disappointing. The setting is outstanding, right on the grand canal, but the area we were seated at seemed to be a very busy hub for all the gondoliers to turn in and out of the canal. Fun at first, but it became a bit tedious and hectic especially since many of the gondolas has a fellow singing as well, often at same time. The food is really mediocre when at the prices they charge, it should be very good if not outstanding. The service was under par in that we could see orders being mixed up at other tables, and other patrons having to wait very long for their bills. We overheard a waiter acknowledge issues in the kitchen and with their computer system. When our bill arrived, there were at least 3 mistakes on it. First, a cover charge for 4 people when we were only a party of 3! Then we were charged for the wrong drinks, etc. Really amateur stuff that is inexcusable for an establishment such as the Gritti. I would definitely not return. If you feel compelled to go, go there for an overpriced drink on the terrace (away from all the gondola traffic jams) and do yourself a favour and go somewhere else for a quality meal where the bill hopefully will reflect better quality of service and food. Beautiful spot on the Grand Canal and first class service. We were eating early before going to the opera so we had to choose from the bar menu. Very good though. In the reservation I clearly stated that this is friends birthday lunch and would like a table with a good view. However, when we went in and told the waiter i made reservation, he did not even ask which name it was under. He just said the tables are full and we would need to sit in the bar area (resto and bar area were separated). I couldnt understand why our table is not ready even though we got there on time and did not get any apologies for how they neglect their customers. We asked to be seated in the sofa table area in the bar but they said the table is already taken. It was ridiculous how they will ignore my own reservation made a few days ago and will tell me another table is booked. Only when I asked to speak to thr manager, the bar waiter led us to him. but even when he FINALLY showed up, the first thing he said was not apology and just told us to wait and that they will give us the first table that becomes available. This was definitely not the kind of service I expected from a "luxury" hotel restaurant and from then on, was not even motivated to try their food. I understand that their restaurant will always be full of ppl and they wouldnt care so much about individual reservations, but if that is the case, they should accept any reservation in the first place. I was very disappointed and just walked out. We managed to find another hotel restuarant with good view and with service that is worth the money I paid. If you plan to go to this restaurant, I recommend just walking in at the moment they open. Otherwise, they wouldnt care so much about your reservation made in advance. I cant comment on the food since I didnt want to waste my time waiting for the next table, but im sure I wouldnt have been any happier since my mood was already down anyways. Service was fantastic. Waiters were very friendly and made us feel right at home! Very expensive and limited menu. Thank you for an amazing experience! Good food, beautiful view, perfect location, accommodating staff/host/waiter. It was great experience, can’t wait to repeat it. That experience gives us a great impression of Venice. We had a great time at the Gritti Terrace, the view itself was amazing but the food is worth it too ! 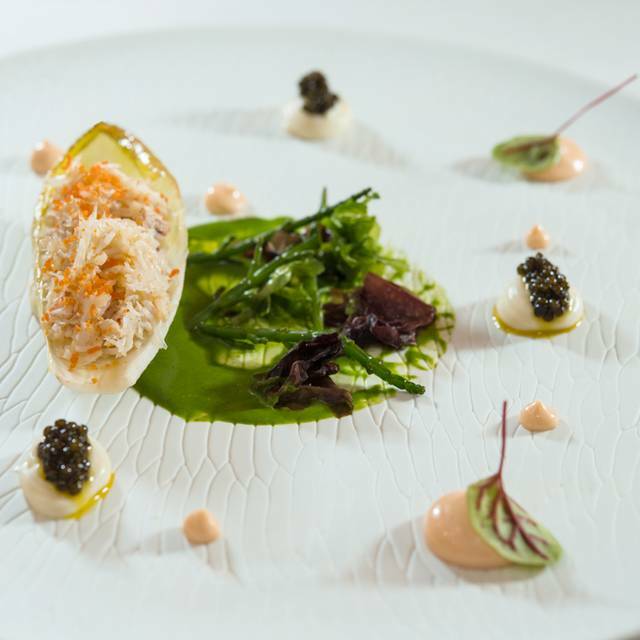 We have dined at the Gritti Terrace before going for opera to make the evening super special. 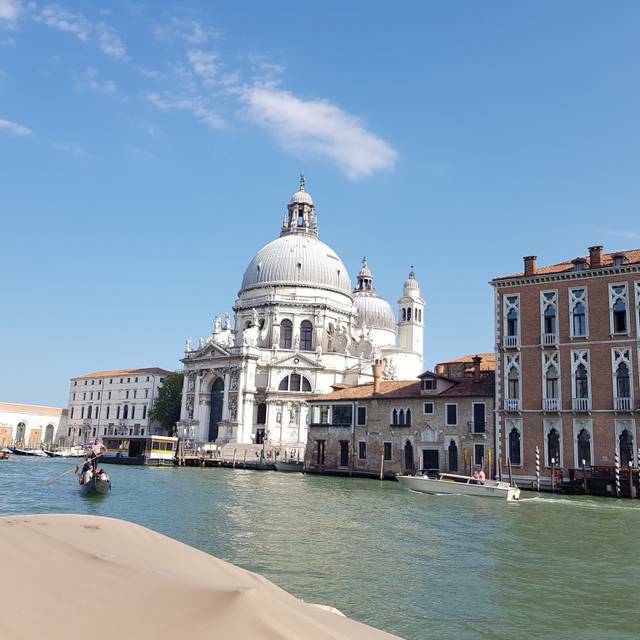 It has amazing view of Grand Canal and it's fantastic to watch gondolas going around and hearing the opera singing from them too. The food was tasty, we particularly enjoyed the tiramisu which was so fluffy and the sea bass with seasonal vegetable was great as well. We felt well looked after by the waiters. It's on the pricey side but well worth it for special occasion. Fantastic experience which I highly recommend. It wasn't cheap, but well worth it for the great memory that we have taken back home with us. Staff were so welcoming and the view must surely be one of the best in Italy. 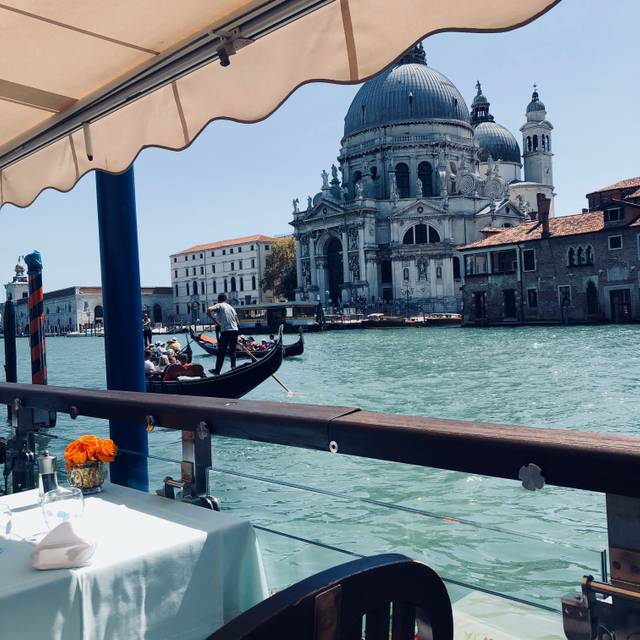 It was lovely on a hot summer's day to escape the crowds and enjoy a beautiful lunch soaking up the atmosphere of the Grand Canal. I will never forget it! Overpriced and very average food. Booked 1 month prior for my 40th birthday. They didn’t even realize we had booked. Pasta at -€28 a bowl was tasteless and very average. Would not reccomend.